← How to upload standard PDF form allowing users to fill out directly? Can I add the file name to the title, or a custom meta data field? Thanks for leaving a message for us. Could you please be more specific in your question then we can have a check for you? Do you mean that you need to edit the metadata by tile and others. Yes, we have such software like Advanced PDF Tool but you need to make it manually. 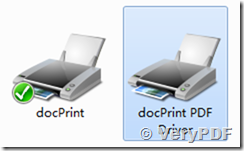 No, when I print using the VeryPDF printer, can it add the file name to the meta data title field? I can do this with CutePDF but the quality of the PDF is bad. How to print MHTML documents to PDF files? How can I attach the created PDF file as email attachment? This entry was posted in PDFcamp Printer and tagged pdf creator, PDF metadata, PDF Printer. Bookmark the permalink.